Find a Donation Bin Near You! 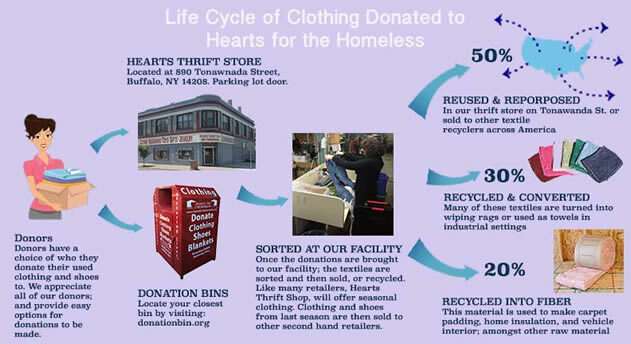 Donations of clothing, shoes, and accessories can be made at one of our 400+ distinctive red bins. These donations go directly to our ministry center where proceeds are used to feed the poor and homeless, and to maintain and expand our ministry. Processing donated goods have become our most cost-effective fundraiser. Learn more about how we honor your donations, watch the video below or read this article. 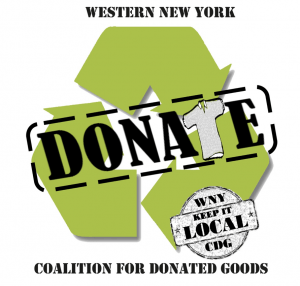 Hearts for the Homeless® is an active member of the Western New York Coalition for Donated Goods. 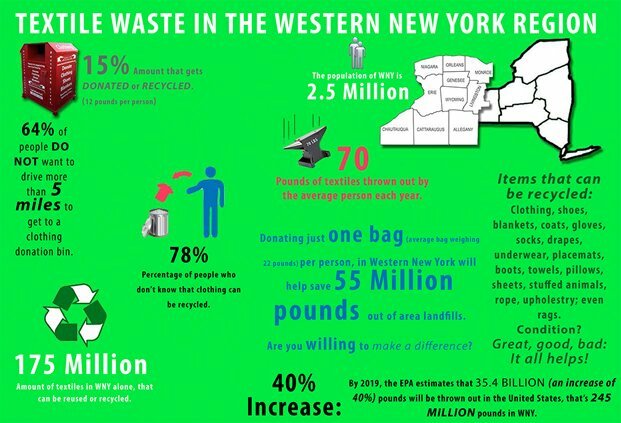 The coalition is made up of not-for-profit clothing recyclers headed by Erie (NY) County and the City of Buffalo's recycling departments. The not-for-profits equally split any-and-all donations collected at Coalition sponsored events so that they can continually offer their expertise to the general public. Educating the public about the recycling of textiles is the main goal of this organization.